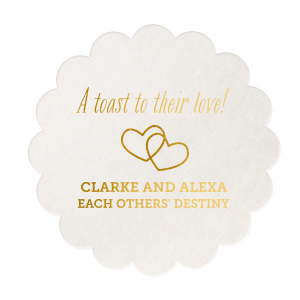 Customize wedding details so perfect, they're destiny. 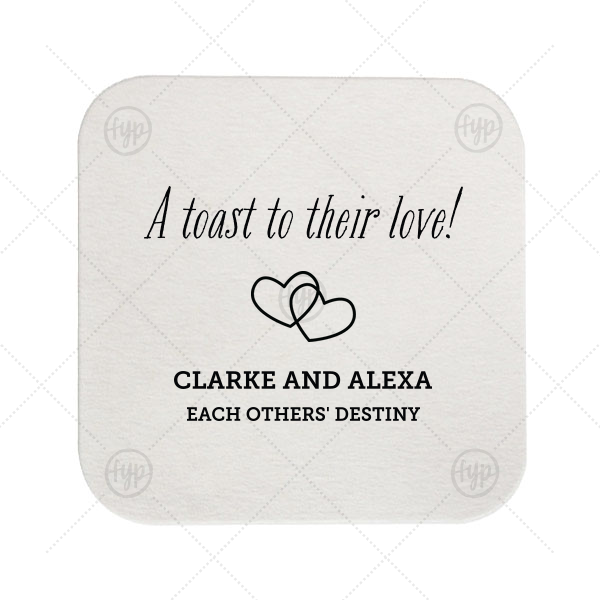 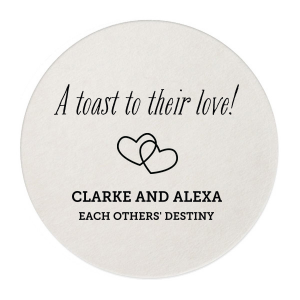 Personalize these coasters for custom barware guests will love! 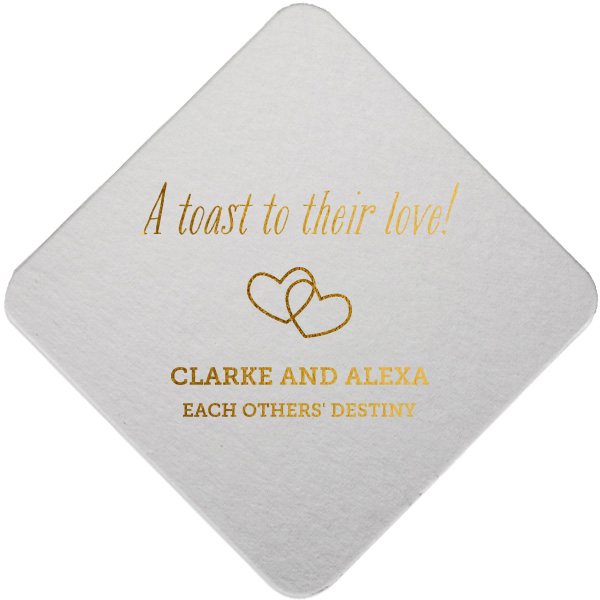 Our Interlocking Hearts graphic will fit any theme. 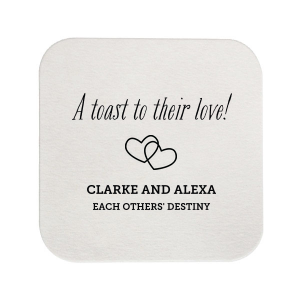 Simply choose your foil color and add your names, creating a stylish coaster so cute you'll want to bring them home and stock your wet bar.